Still fresh off the release of their latest full-length album, BEAUTIFUL PEOPLE WILL RUIN YOUR LIFE, and a completely sold-out UK headlining tour, alternative rock trio The Wombats are making their way through a North American headlining tour with support from Barns Courtney. The tour kicked off in Los Angeles, CA, on September 27th, stopping in just about every major city before it ends in New York City on October 30th. Although they have yet to finish up the last stretch of shows in New England and Canada, the tour has already been a memorable endeavor for the band. The Wombats’s latest full-length, BEAUTIFUL PEOPLE WILL RUIN YOUR LIFE, which came out February 9th via AWAL recordings, has seen great success throughout its course thus far. The album made the Top 3 UK and Billboard 200 charts upon release, and the latest single, “Turn,” has since spent nine weeks at #1 on SiriusXM’s Alt Nation while also exceeding 24 million streams on Spotify. Of course, the album is worth all of the praise. 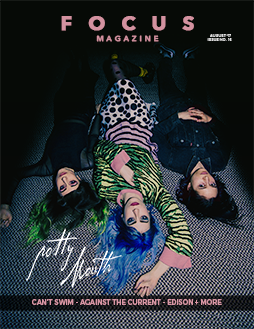 The band has always been known for their colorful alternative music and lively performances, but on BEAUTIFUL PEOPLE WILL RUIN YOUR LIFE, the trio expressed an emotional maturity unlike anything they’ve ever displayed before. Their current North American tour has simply solidified this heightened level of musicianship.